Happy #ManiMonday everyone! I hope you’ve all had a great weekend and are excited for a brand new week! 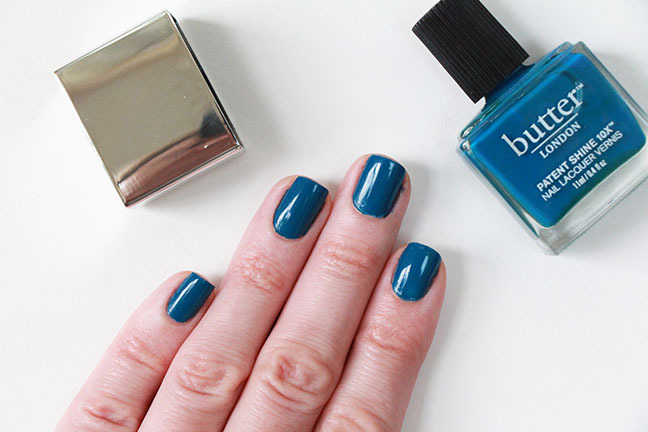 🙂 Since it’s Monday, we all know what that means…another polish of the week! I liked last week’s polish so much that I went for another shade of the same formula. 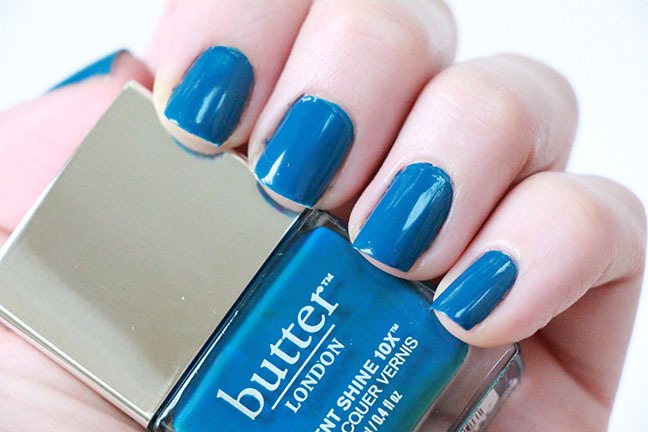 That’s right, it’s another Butter London Patent Shine 10x Nail Lacquer. This time I went for a deep teal blue called “Chat Up.” Love this shade! 🙂 It’s a really cool shade of blue that seems very fall-appropriate to me. The formula is beautiful! It applies very even and opaque. It was nearly opaque in one coat, but I did need to do two to completely even the shade out. It dries quickly and to a crazy shiny finish! 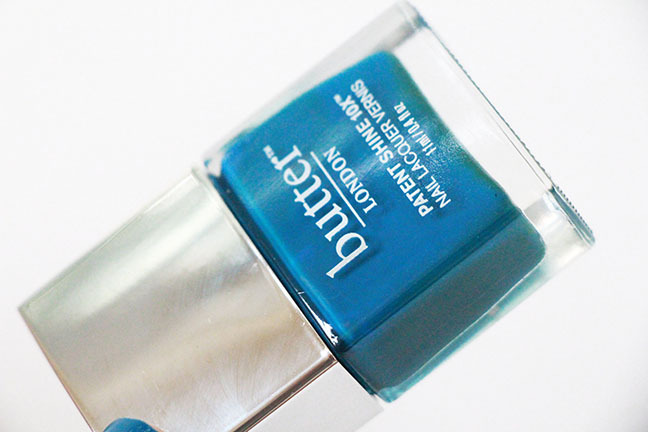 You don’t really need a top coat, but I did apply one because I always do.